Best place for kids to play in Sydney? 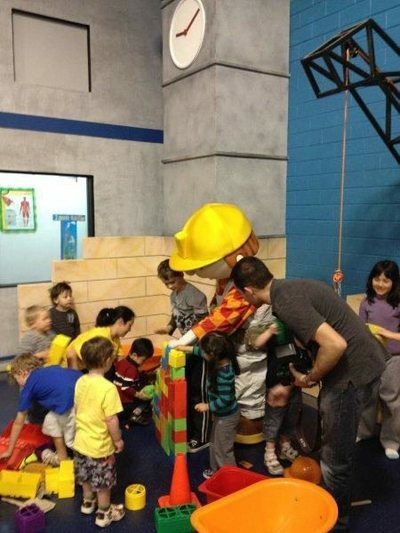 Image: Wannabees Family Play Town Facebook page. Where is the best place for kids to play in Sydney? The kids of Sydney are in heaven. There is more choice than ever before when it comes to quality play time. From large playgrounds to a place where kids can invent themselves in a fun career for a time - there are no limits. Where is the best place for kids to play in Sydney? The Darling Quarter kids playground is excellent, and all for free. Otherwise the Wannabess Family Play Town at French's Forest is wonderful. This is where the little ones can use their imagination and be a Doctor or TV presenter for a day to name. All different activities are on. If you are looking for something inside, Lollipop's Playland is fun. The area is so colourful and is full of things to keep the kids busy including slippery dips, a flying fox and a good old fashioned ball pit (My favourite!). There is a little cafe where you can relax and have a coffee at while the children are playing and you can have parties here too. I've only been to the Castle Hill location but there are several others across Sydney including Frenchs Forest and Wetherill Park. Another indoors fun place to play - Chimpmunks indoors playcenter. They also have several locations. My favorite is at MacquarieShopping Centre. They have great play area for under 5s, as well as for older children, great big space, and even a big blow-up slide. Birthay parties they organise are very nice and stress free. Also, the offer service of loking after children older than 5 y for up to to hours. Best activity at Sydney's Customs House? Best beach to go surfing at in Sydney? Best rooftop bar in Sydney? Best Australia Day activity in Sydney? Best place to indulge in sweet treats in Sydney? Best day spa in Sydney?